Gonzalo Higuain is a new player for AC Milan. The Argentinian striker leaves Juventus after two seasons following the request from Leonardo Bonucci to go back to Turin where he played for seven seasons from 2010 to 2017 as a captain. Higuain has reached Milan late in the afternoon to attend a medical before joining his new team mates.”I spoke with Gattuso (AC Milan trainer)” he told to journalists waiting for him “Thanks to Juventus supporters, but is nice to see a lot of fans here in Milan. I hope to reach important goals with AC Milan”. 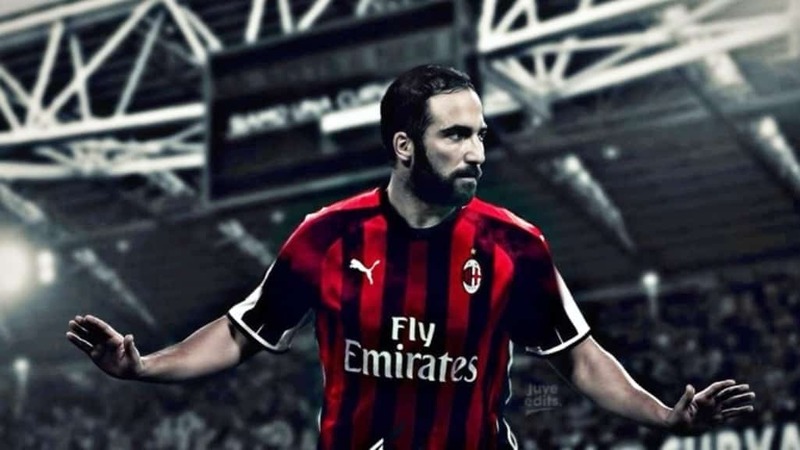 Gonzalo Higuain joins ‘rossoneri’ on a loan agreement after a big deal reached between AC Milan and Juventus which include the transfer of Leonardo Bonucci to Juventus and the defender Mattia Caldara to AC Milan AS well. AC Milan will pay €18 million for one year loan with a redemption right based on €36 millions. This allows AC Milan to respect the FFP imposed by UEFA so the first year of Higuain’s contract on a loan base does not affect the current budget. According to italian newspaper La Gazzetta dello Sport, Higuain will earn between €7,5 and €8 million per year. On the other side Juventus fans are not happy for Bonucci’s comeback. He left Juventus at the end of the last season after tensions with the entourage and the manager Massimiliano Allegri. Through the last days on social network supporters have accused Bonucci as a traitor after waving last year and Juventus club to toss a white blanket after signing Cristiano Ronaldo.